We are excited to announce our new campus program with Augustana College! 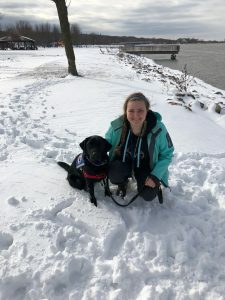 Augustana College’s Viking Pups club is a service and facility dog training club comprised of incredibly gifted and highly motivated students who have done wonderful work training service dogs in the past. The Viking Pups club will have members puppy raise for Deafinitely Dogs! 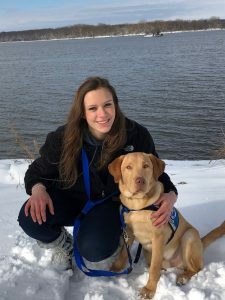 with the goal being that the puppy graduates to help a person with a disability to live more independently. 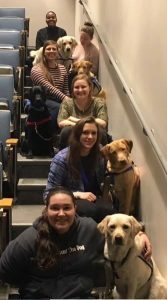 The club also educates people on the proper etiquette when interacting with service dogs and the laws that protect the working dogs. For more information about Viking Pups, visit their web page. 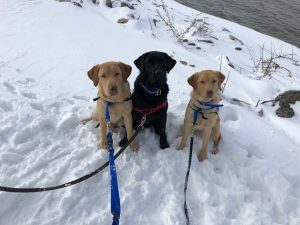 We are happy to announce that three service dogs in training have been placed with Viking Pups. Deafinitely Dogs! could not be more proud of these students and are thrilled to be working with Augustana College and the Viking Pups club. Check back for updates!